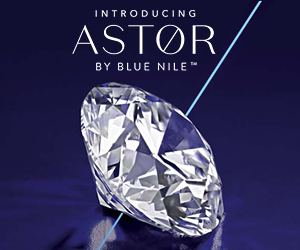 I get many emails from people wanting advice about diamonds and quality (in my Diamond Q&A Here; so if you want help deciding between stones, email me). 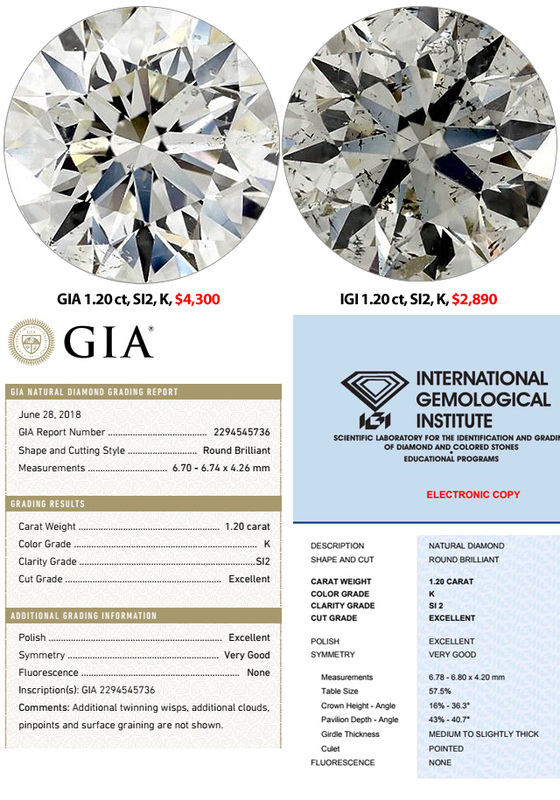 When you compare diamonds, it’s important to compare “like” certificates; GIA to GIA, IGI to IGI, EGL to EGL… Otherwise, it’s like comparing night and day. But still, you shouldn’t even be looking at anything but GIA. 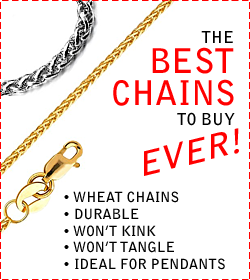 GIA is the leader in the industry. After all, they wrote the book on diamond grading. They literally devised the 4C grading system. There is no one better in the World to grade a diamond more accurately than GIA. Comparing GIA to IGI is like apples to oranges. It’s not the same. 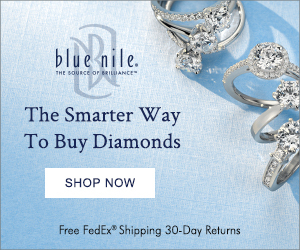 An SI1, E, GIA certified diamond will usually look much better than an SI1, E, IGI certified diamond. 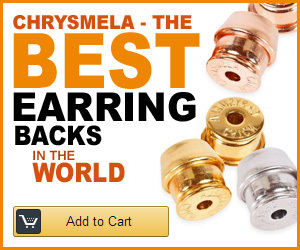 This is because GIA is ultra strict, uses triple redundancy when grading, and rounds down. IGI is more lax and lenient and their grades and often eyebrow raising. 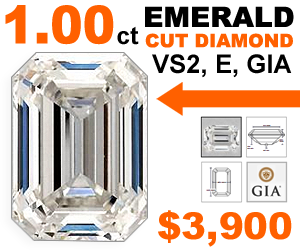 Meaning, an SI1, E, IGI certified diamond could really be an SI2, F, instead. Do they look the same??? No. So why does this happen? 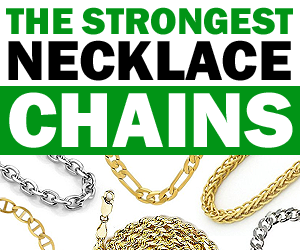 IGI and EGL are much more forgiving when it comes to official documented grades and tend to round up (grade bumping) the quality more often than not (If the stone is graded higher, the jeweler makes more money; which is why some jewelers use them). 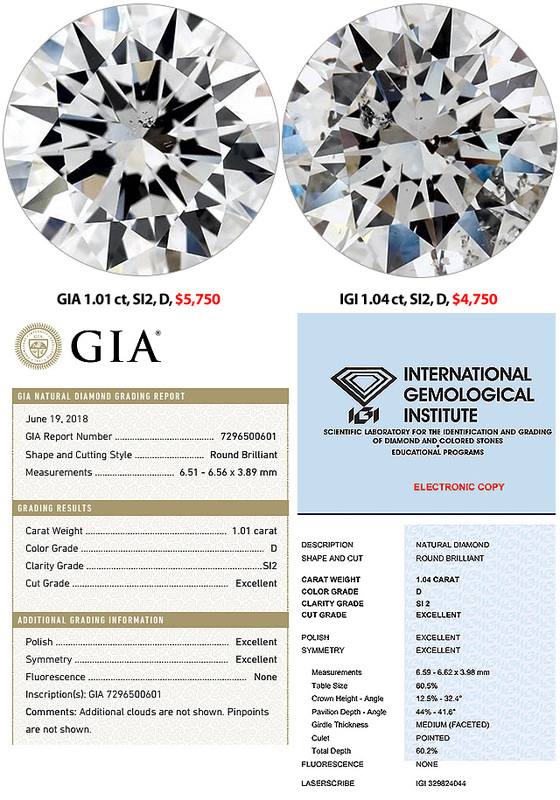 Customers will bring in IGI certified stones to upgrade or sell, and if you look at the stone, then look at the certificate, you’d know it’s not accurate. Sometimes they are… but many times they are off. 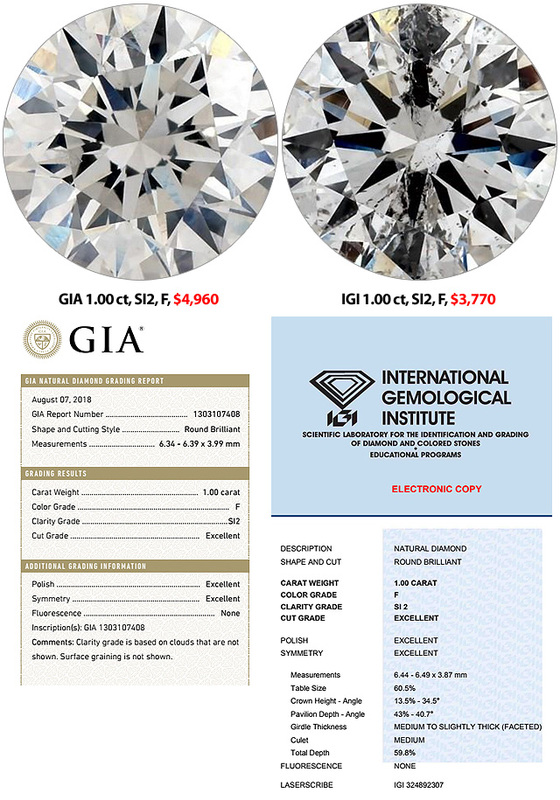 And to prove this, let’s compare some GIA and IGI diamonds. I’ve gone to James Allen and grabbed some stones to compare. This is true to a point (the point I’m trying to make)…. It doesn’t matter. It doesn’t matter because both of the diamonds are graded exactly the same. EXACTLY! And yes, there are some IGI diamonds that don’t look so bad (like that last one above). 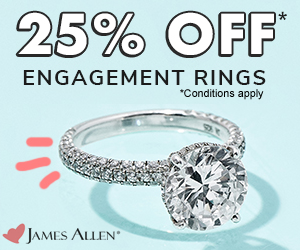 Some will appear closer to the GIA graded diamonds, sure. But are you willing to risk that? 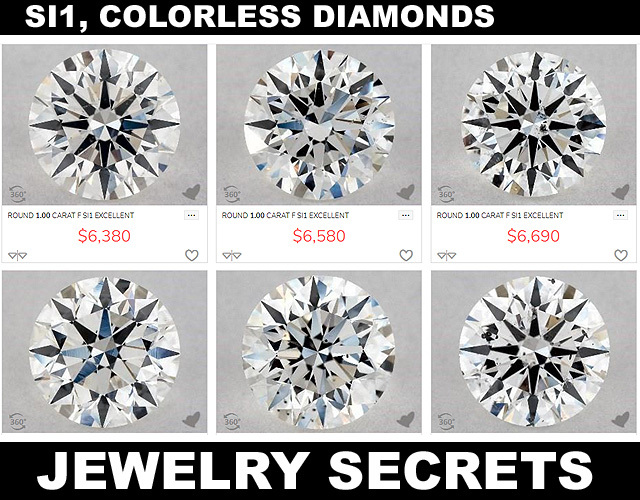 How would you know which diamond you’d get? Unless you actually compared them side by side, you’d never know. 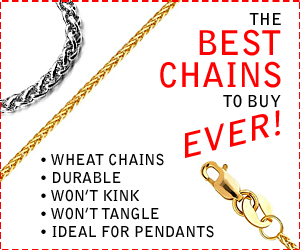 But their price is not! And like I’ve said, not all IGI diamonds will be this extreme (although really, I just picked from the top 20 stones, so it’s not like I spent hours trying to find the worst specimens. They were pretty apparent). Some will be, and that’s what I’m saying. 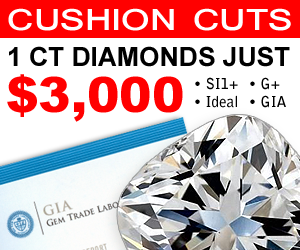 If an IGI diamond is a thousand dollars less than a GIA diamond… Don’t buy it! 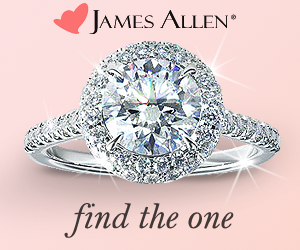 If they truly were the same quality of diamond, they’d be much closer in price; not miles apart. 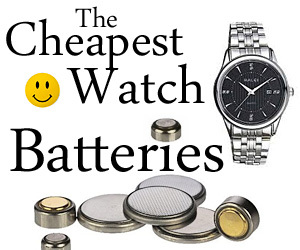 Price is why people buy them!!! People see the price difference. They think they’re getting a good deal. They want to save money, I get it. But some people just don’t care. All they see is the price tag. And if that’s your true concern, then I can’t help you. 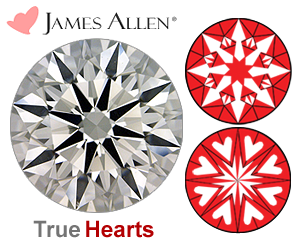 If you’re looking for certified stones, compare them. View same quality stones under a microscope. See the difference yourself. 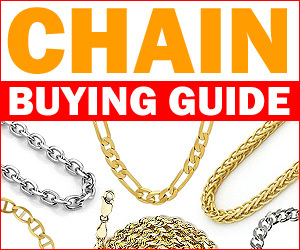 Otherwise, you could be overpaying and not getting what you thought you were getting. 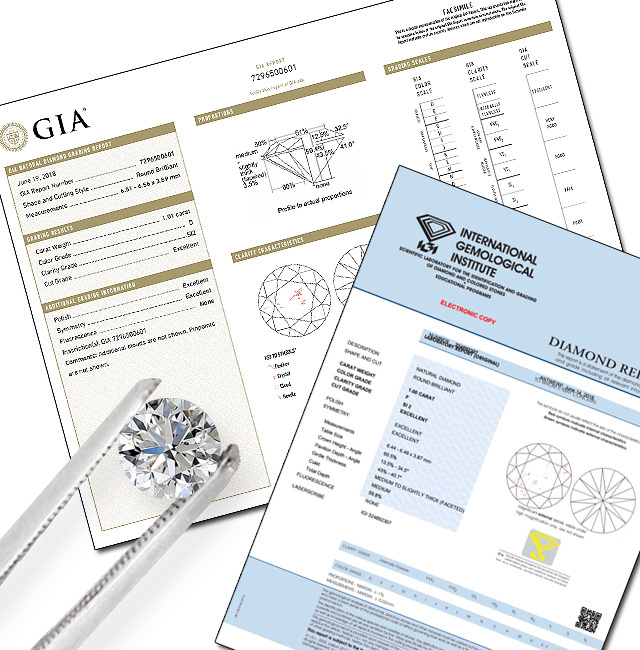 Stick with GIA and your diamonds will be graded expertly. 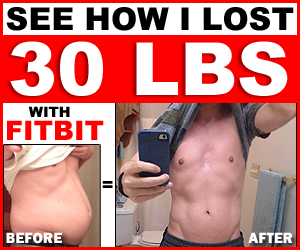 You’ll be able to trust the results. It’s your money. Your choice. But after viewing stones and comparing them, I’m sure you’ll lean towards GIA.